Italian salami, pepperoni, prosciutto di parma, provolone, reggiano, roasted peppers, cherry tomatoes, pears, mixed olives, pepperoncini, fresh mozzarella, hot cherry peppers, fresh basil leaves, extra virgin olive oil & house bread. Fresh mozzarella, provolone, cherry tomatoes, roasted peppers, mixed olives, artichoke heart, pears, pepperoncini, hot cherry peppers, reggiano, fresh basil leaves, extra virgin olive oil & house bread. Housemade focaccia & toast points, homemade hummus, sundried tomato tapenade, basil pesto & olive oil. Fresh mozzarella, cherry tomatoes, garbanzo beans, fresh pears, black olives, pepperoni, craisins, & housemade focaccia. Fresh mozzarella, cherry tomatoes, basil, extra virgin olive oil, basil oil, sea salt & cracked peppercorn. Romaine, roma tomatoes, garbanzo beans, pine nuts, cucumbers, kalamata & black olives, red onions, feta & reggiano tossed in a lemon- basil vinaigrette. 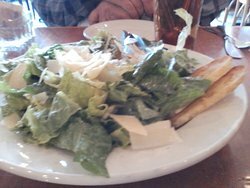 Romaine, olive oil, reggiano, anchovies, lemon & house crouton. Mixed greens, pickled red onions, pears, candied pecans & gorgonzola w/ a white balsamic vinaigrette or buttermilk ranch dressing. Braised scallions,‏ roasted mushrooms, tomatoes, cucumbers, red onion, kalamata olives, black olives, feta, basil, fresh mozzarella, roasted garlic, olive oil, vinegar, reggiano & toasted house bread. Roasted portabella mushroom, herbed goat cheese, balsamic glazed walnuts, cherry tomatoes, creamy basil & balsamic vinaigrette, dried cranberries, crisp salad greens & house crostini. Served on our fresh baked bread w/ olive salad, chips, & dressed mixed greens. Please add $1 for split sandwiches. White tuna, capers, kalamata olives, field greens, tomatoes, pickled red onions, reggiano & lemon aioli on baguette. Broiled Italian sausage w/ roasted onions, peppers, garlic, & melted provolone on baguette. Basil pesto, sun dried tomato tapenade, artichoke hearts, fresh mozzarella, basil leaves, field greens, & herb oil. Salami, pepperoni, provolone, cherry peppers, basil leaves, olive oil, field greens, vinegar, herbs & cracked pepper on baguette. Portabella mushroom, tomatoes, olives, roasted peppers, provolone, greens & creamy garlic-balsamic vinaigrette served warm on focaccia. Hummus, herbed goat cheese, mixed greens, tomatoes, cucumbers & lemon vinaigrette on baguette. Hand sliced pepperoni, tomato sauce, mozzarella & olive oil. 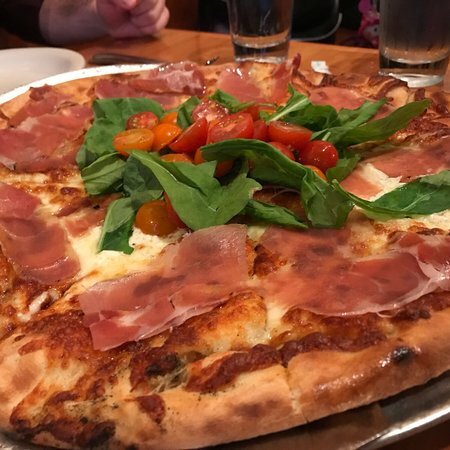 Prosciutto di parma, mascarpone, black mission fig paste, toasted almonds, mozzarella, fresh herbs & herb infused olive oil. 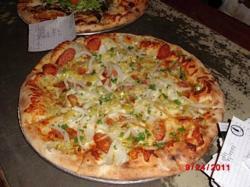 Caramelized onions, goat cheese, fresh herbs, mozzarella, roasted garlic & olive oil. Italian sausage, mascarpone, roasted red peppers, mozzarella, roasted garlic, & olive oil. 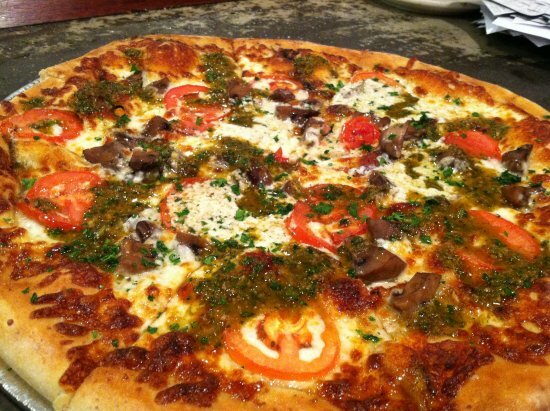 Basil pesto, goat cheese, roma tomatoes, toasted pine nuts, mozzarella & olive oil. Local bacon, caramelized sweet potatoes, toasted hazelnuts, olive oil, mozzarella & maple-chipotle drizzle. Portabella &‏ button mushrooms, herbed mascarpone, roasted garlic, mozzarella, smoked paprika & olive oil. Artichoke hearts, feta, roasted red peppers, mozzarella, kalamata olives, garlic & olive oil. Spinach, ricotta cheese, roasted red bell peppers, roasted garlic, olive oil & mozzarella. Large calzone pocket stuffed w/ mozzarella cheese, ricotta cheese, & brushed w/ extra virgin olive oil. Stuffed w/ italian sausage, mozzarella & ricotta cheese then painted w/ garlic oil. Large calzone pocket stuffed w/ basil pesto, mozzarella cheese, ricotta cheese, & finished w/ herb oil. Spinach, mushrooms, roasted garlic, mozzarella, ricotta cheese, & herb oil. 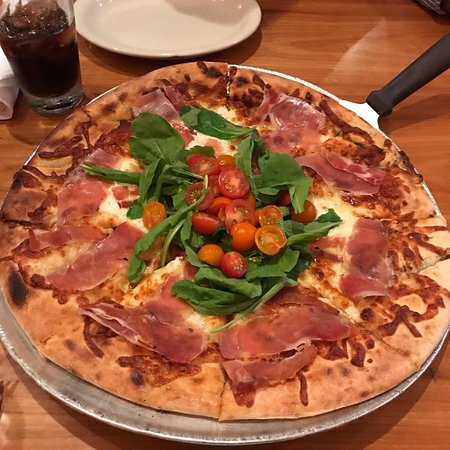 Prosciutto di parma, ricotta cheese, mascarpone, roasted peppers, mozzarella, garlic & extra virgin olive oil. Espresso infused sponge cake layered w/ mascarpone, rum, & marsala custard, topped w/ whipped cream & chocolate. Chocolate mascarpone‏ mouse layered between frangelico infused chocolate cake. Served w/ whipped cream. Gluten free sponge cake, layered w/ lemon curd, raspberries & rum mascarpone mousse. Served w/ whipped cream. تجربة ممتازة. بيتزا والسلطات كانت لذيذة. كانت عطلة نهاية أسبوع مزدحمة في ميسولا بسبب بطولة الدولة عبر البلاد ولكن لم نتسرع. الخدمة كانت رائعة. . . الموظفين الانتظار سارة وفعالة. لا أحد يذهب هنا - إنه مشغول للغاية. بيتزا جيدة جدا ، والسلطات ، والخدمة. نحن نحب مجموعة متنوعة من أنواع البيتزا المتاحة وسلطة قيصر - كبيرة بما يكفي للمشاركة. واحدة من الأماكن المفضلة لتناول الطعام في ميسولا. المطبخ الأصلي والبيتزا المميزة وصفيحة أنتيباستو كبيرة. أحب في كاليفورنيا وأوهايو وكولورادو والآن مونتانا وهذا المكان يجعل البيتزا أفضل من أي وقت مضى! هناك أيضًا Calzone يمكنه إطعام ثلاثة أشخاص وهو ليس كبيرًا فحسب ، بل إنه لذيذ جدًا ومتمرس تمامًا. أعطي بيجز بيتزا 5 نجوم زائد. تناولنا الطعام فى بيتزا فى حين في ميسولا. كان المكان، وجبات مع الزبائن. كانت الخدمة سريعة جدا. الخادم الخاص بنا مايكل، خلال قائمة الطعام مما يجعل توصيات جيدة. البيتزا، السلطات كانت كلتاهما رائعة. أسعار جيدة جداً أيضاً. مكان رائع لتناول الطعام! مطعمنا العائلى المفضل البيتزا! نحن نحب البيتزا، على الرغم من ان مطعم غالبا ما يكون مزدحما, صاخب، وحوض استحمام ساخن. رائع وقائمة الطعام الشهي، الكثير من Montana المكونات. مطعم ممتاز. واحدة من الأماكن المفضلة لدي. أحب أن أنتيباستو الطبق. وهي تحتوي على مجموعة منتقاة من البيتزا. 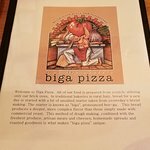 احصل على إجابات سريعة من موظفي ‪Bob Marshall's Biga Pizza‬ وزوار سابقين.